MR. KELLY: …we, of course, are watching very closely what’s happening in Iran. We have said consistently that the regime in Iran has to respect the will of the Iranian people and respect their fundamental human rights. I think you know that one of the detainees on trial right now in the revolutionary court is an American citizen, Kian Tajbakhsh. He has not been given a lawyer. We believe the charges that he’s facing are without foundation. And we, of course, have consistently called for his release. Mr. Tajbakhsh poses absolutely no threat to the Iranian Government or to its national security. He played absolutely no role in the election, and he’s a scholar. As I said yesterday, he has really devoted his life to promoting understanding between the Iranian people and the American people. And he’s scrupulously stayed politically neutral. And I’ll just close by saying that the world is watching what’s going on in Iran right now, and we will bear witness to what’s going on. This report is false. Kian continues to be detained in Iran without access to a lawyer. His family and friends have not been informed about the specific charges lodged against him or how long authorities plan to continue holding him. Secretary Clinton emphasized on August 15 that Kian “has spent his career working to enhance mutual understanding between Iran and the United States. The government of Iran should immediately release Mr. Tajbakhsh from detention and allow him to depart Iran to continue his academic pursuits.” The US State Department has repeatedly called for Kian’s release, with the latest demand issued in its August 17 press briefing. MR. WOOD: Well, let me just say this. The United States condemns the arbitrary arrest, harassment, and detentions that are continuing to take place in Iran. Among those on trial are students, lawyers, human rights activists, journalists, academics, as well as ordinary citizens who are simply seeking their universal right to express themselves peacefully and live their lives free of intimidation. 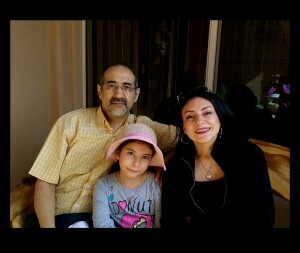 Of particular concern is the continued detention of Iranian American scholar Kian Tajbakhsh. We urge Iran’s leadership to release Mr. Tajbakhsh without further delay. The Iranian Government’s decision to hold individuals such as Kian Tajbakhsh on groundless charges and without the benefit of legal representation clearly violates its international obligations.